Unit renovations included stainless steel appliances, designer tiles, contemporary paint, wood-plank style flooring and private balconies or patios. 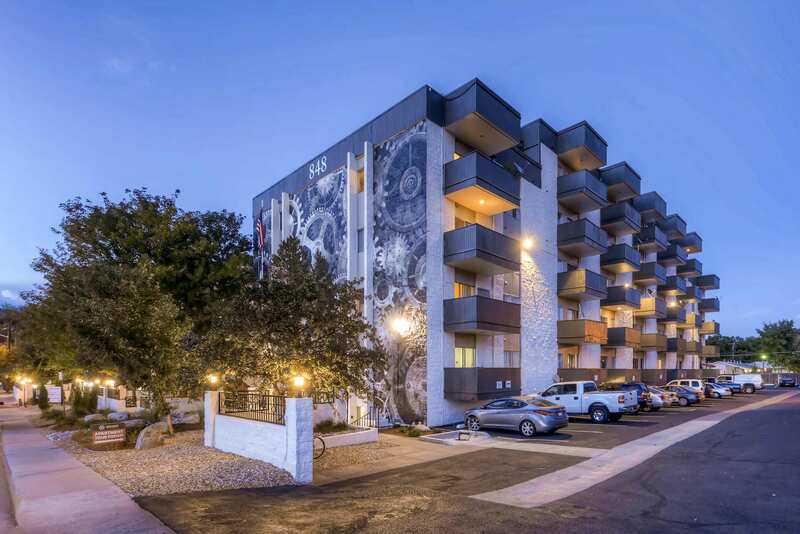 A 142-unit apartment complex in Glendale sold to an investor growing its area holdings. New York-based real estate investment firm Arel Capital, according to public records, paid $22.3 million, or $157,042 per unit, for 180 Flats – the latest addition to its metro Denver portfolio. The two-building property at 818 and 828 S. Dexter St. was extensively updated prior to the sale, including upgrades to all common areas, exterior façade and landscaping, mechanical systems and approximately 70 percent of the units. Its location and renovations attracted numerous investors, according to Scott Shwayder of Greystone Unique Apartment Group, the multifamily division of Unique Properties Inc., who brokered the sale. Wheelhouse Construction completed the renovations and Wheelhouse Management operated the property. In addition to updated units, 180 Flats includes a fitness center, business center, outdoor pool, bike storage room, outdoor gas grills, gazebo and ample parking. “It was a fabulous renovation, including a very interesting exterior renovation” Shwayder said of the community, which features an avant garde brick exterior, in addition to the modern interiors. “I think it really made it stand out to potential tenants and buyers. “In my mind, it also has the best location in Glendale, just one block off Cherry Creek Drive,” added Shwayder. The property comprises a mix of one-bedroom, one-bath; two-bedroom, one-bath; and two-bedroom, two-bath units that range from 580 to 985 square feet. Dexter Lighthouse LLC, according to public records, sold the community constructed in the early 1970s. It was around 95 percent occupied. The 180 Flats community is the latest of Arel Capital’s portfolio and will become part of the firm’s The Collective Glendale, a seven property, 793-unit collection of communities consisting of Vantage Point, The Birch, Four Mile Flats, Infinity Flats, Park Point and Cambridge Place. It also owns the Spyglass Hill community in Denver. Allied Orion Group was selected to manage 180 Flats. “We are pleased to be adding another unique community to The Collective Glendale portfolio and to continue our partnership with Arel Capital in the metro Denver area,” said Kirk Tate, principal and chief executive officer of Allied Orion Group.